AMC’s third original series, Rubicon, premiered on Sunday, August 1 from 8 – 10pm ET and became the network’s highest-rated and most-watched original series premiere ever. The newest original drama attracted two million total viewers and garnered a 1.5 HH rating. Airing directly after the two-hour Rubicon premiere, last night’s second episode of Season Four’s Mad Men attracted 2.5 million viewers and received a 2 HH rating. An average of 6.59 million viewers watched President Obama’s appearance on The View Thursday. 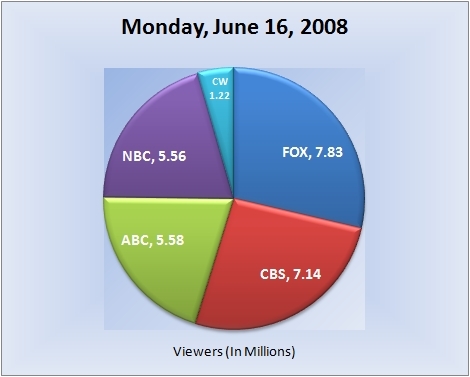 The telecast marked the first such time a sitting President has ever visited a daytime talk show and was the most-watched episode in series history. The highly anticipated second season premiere of the MTV reality series Jersey Shore averaged 5.325 million viewers, 10% above the first season finale (4.834M–which was the previous series-high). Among A18-49, the premiere drew an average 2.6 A18-49 rating which tied the season one finale and the show also set new highs among HH rating (3.3) and W18-34 (4.8) among other demos. Last May there was a rumor that Miller would be directing Buck Rogers for Nu Image/Millennium but days later they denied the report and said he would not be directing the fim. Turns out that the initial report was correct all along. A complete breakdown of the night’s ratings follows after the jump. CBS and ABC share the win for Monday night, as Dancing With the Stars gives ABC the win among households and viewers, while the NCAA College Basketball Championship gives CBS the win among adults 18-49. 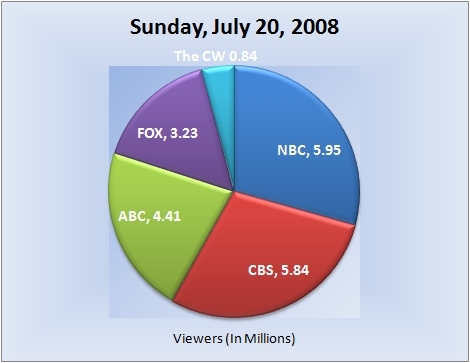 CBS takes the evening among households and viewers, while ABC comes away with the win among adults 18-49. All three networks were down week-to-week. ABC pulled back ahead of NBC among households and viewers, but NBC stayed in first among adults 18-49. Fox rolls over the competition with American Idol leading the way once again. Fox has announced that they are holding off the return of Standoff until the June. The series was originally scheduled to finish its run of 18 episodes (11 have aired) on Friday, April 6.